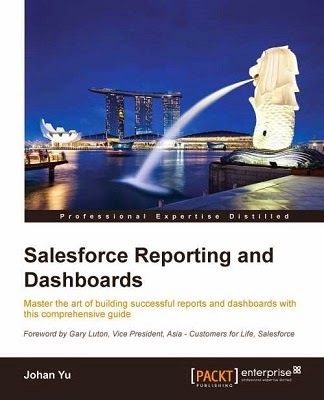 As Salesforce admin, sometimes we need to prepare data before load into Salesforce correctly. Recently, I need to clean and prepare some pretty big amount of raw data. 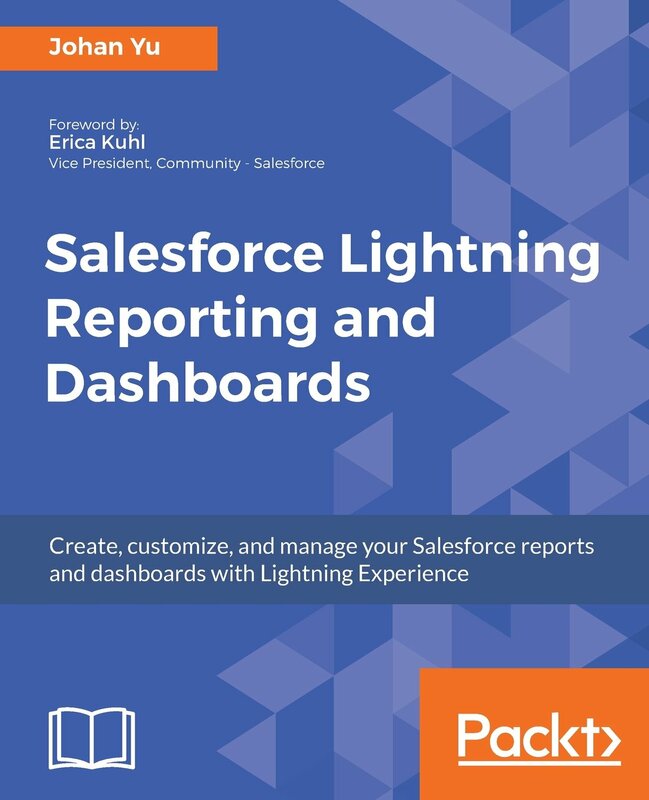 Microsoft Excel apparently is one the easiest and best available tool to clean and prepare the data before loading into Salesforce. In this blog, I would like to share some tips learned from the exercise. Double click bottom right corner to auto-fill value of C2 to visible rows below it (C4 and C6). When we clear the filter, only C4 and C6 is filled, while C3 and C5 is skipped. 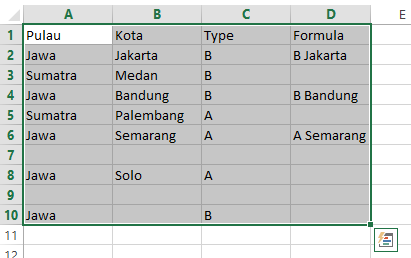 Value of C2 can be static or formula. You can apply this to multiple columns too. Paste to new area, I put my cursor to cell A8 -- only visible cells are copied. 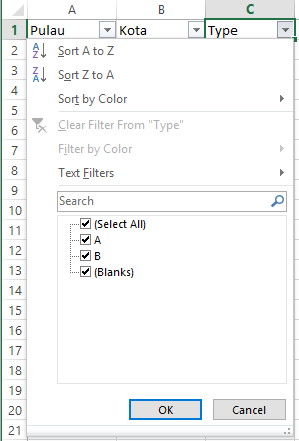 If you need to deal with blank row in filter, make sure to highlight/select the area (in sample below, select area A1-D10 or the whole A-D column), before hit Ctrl+Shift+L, otherwise filter will not include area below empty row (row 7 and below). Instead of copy value "B" into C2, C4, C6 -- "B" will be copied into C2, C3, C4. 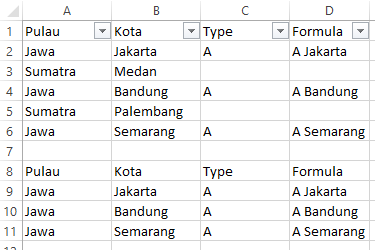 Summary, copy from multiple rows will skipped filtered target. This action will only work well, if there is no skipped rows in the applied filter, example: Jawa in sample above is at continuous rows e.g. 2,3,4. By using the Table features, you can manage the data in the table rows and columns independently from the data in other rows and columns on the worksheet.